Most children have people they look up to, but few end up on a par with their idol. 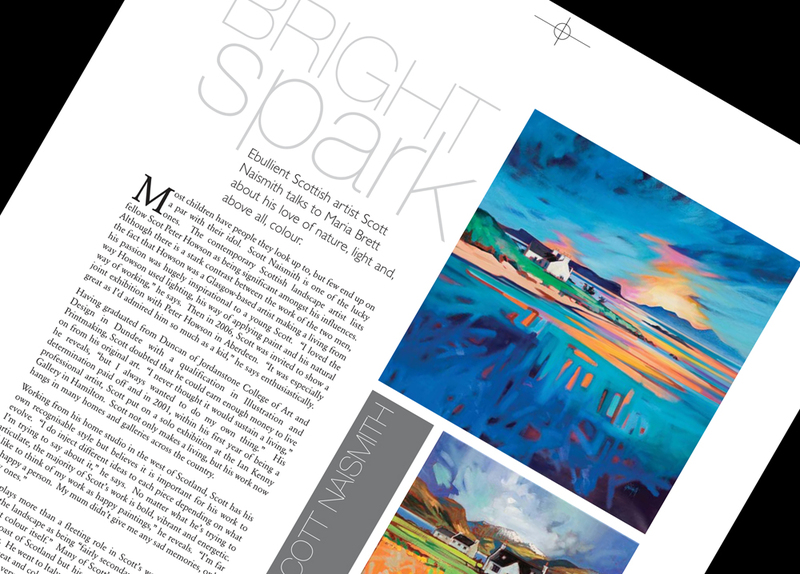 Scott Naismith is one of the lucky ones. The contemporary Scottish landscape artist lists fellow Scot Peter Howson as being significant amongst his influences. Although there is a stark contrast between the work of the two men, the fact that Howson was a Glasgow-based artist making a living from his passion was hugely inspirational to a young Scott. “I loved the way Howson used lighting, his way of applying paint and his natural way of working,” he says. Then in 2006, Scott was invited to show a joint exhibition with Peter Howson in Aberdeen. “It was especially great as I’d admired him so much as a kid,” he says enthusiastically. Although Scott may have been influenced by sunnier climes, he has not forgotten his roots. “The west of Scotland has everything for me,” he says. “If I didn’t enjoy going there, I wouldn’t enjoy painting it,” says Scott of the area he frequently visits with his wife, Gill, who he met at art school. “We recently had a week in Barra and we’ll definitely be back,” he reveals, going on to say that “Barra has the best beaches!” The big skies and changing weather certainly make for interesting subject matter with a lot of depth. However, Scott’s artistic heart seems to belong to the Isle of Skye which takes on an almost magical quality listening to his passionate enthusiasm. “Skye has it all; mountains, crofts, beaches and a wild landscape. 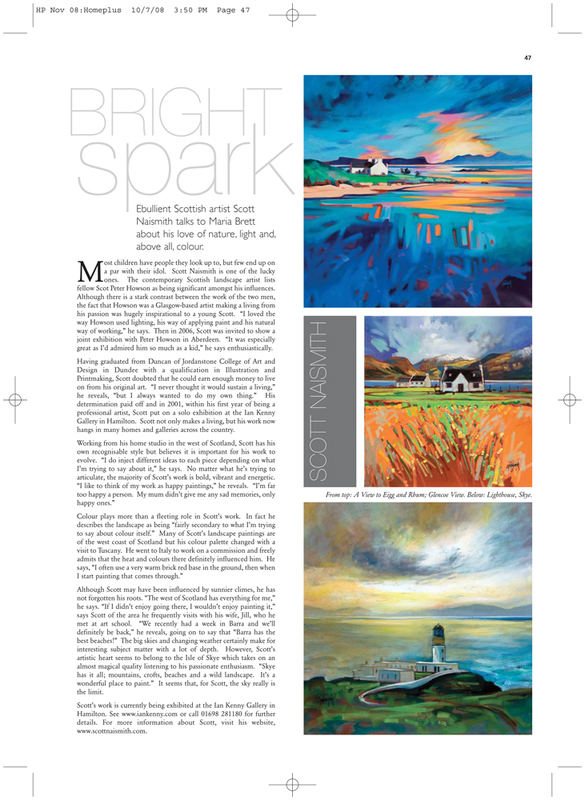 It’s a wonderful place to paint.” It seems that, for Scott, the sky really is the limit.